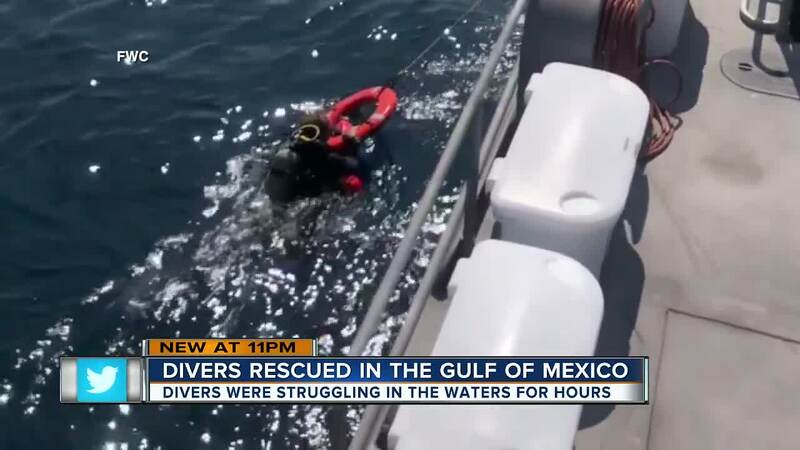 CLEARWATER, Fla. — The Coast Guard, FWC and Pasco County Sheriff's Officials searched more than 1,700 nautical miles before finding a missing diver in the water who was lost at sea for an entire day. "He was floating in the water. 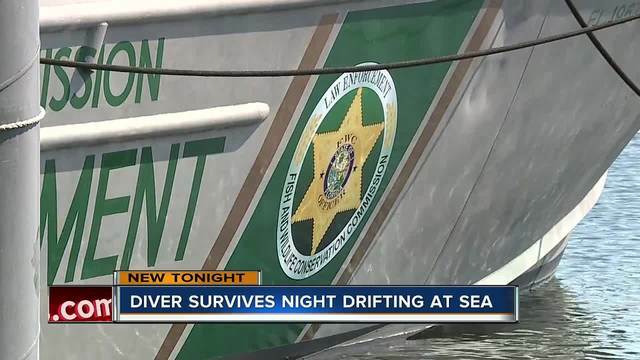 He had full scuba gear on and a wetsuit on and a orange rescue device which we saw from a distance," said Lt. George Wells, Florida Fish and Wildlife Conservation Commission. Around 4 p.m. Wednesday, the Coast Guard received a report of two divers who were missing. 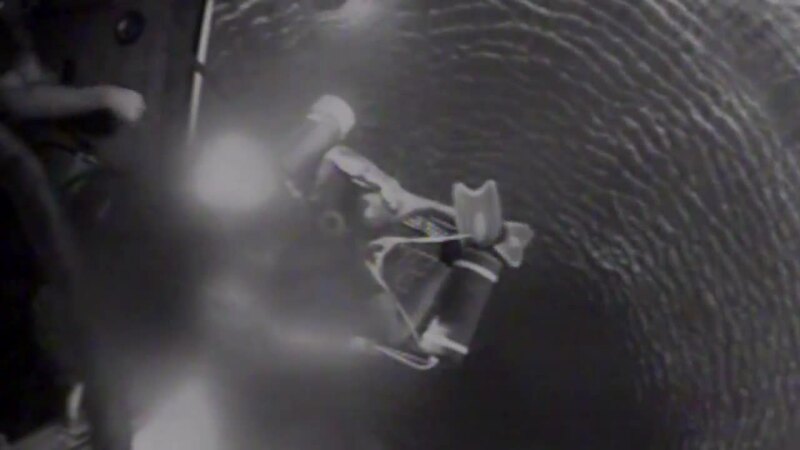 According to the captain of the 25-foot dive boat, the two men were last seen near the RJ Thompson wreck, but never resurfaced. The Coast Guard located Michael Pavlich, 34, at 8:22 p.m. Wednesday roughly five miles southeast of the dive site. The second diver, Terry Hayes, 57, was found by an FWC offshore vessel on Thursday morning, after nearly a day in the water. The offshore vessel was headed out to the search location when one of the officers onboard saw someone in the water waving for help. Officials say that when they found Hayes, he still was wearing his full scuba gear, which possibly helped him stay afloat. "He was very exhausted, but in good spirits. A very positive attitude, a will to live and that's what ultimately helped him survive and saved his life," said Officer Scott Smith with FWC. According to FWC Lieutenant George Wells, they threw Hayes a buoy after they spotted him. Hayes was reportedly so exhausted, he was unable to climb up into the boat, so an officer jumped in the water to assist him. “He’s a fighter, he had a will to survive," Lieutenant Wells said during a press conference Thursday. "I personally think that’s what helped keep him alive throughout the night." The two men are recreational divers. They have about 10 years of experience. 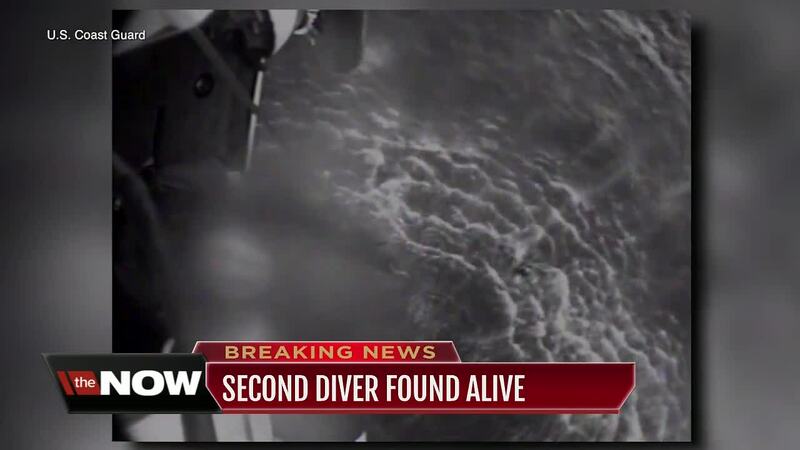 “They were seasoned divers. They just got separated from the boat and couldn’t get back to it,” Commander Bill Walsh, with the U.S. Coast Guard, said. Commander Walsh said the locations where the divers were found was 12 miles apart from one another. Commander Walsh believes Hayes could have survived up to 120 hours in the water. “He had his diver buoyancy compensator, which kept him alive. He had a flashlight. He drank water so he had a storm last night (and) he was drinking water out of his dive mask, but also he had the will to live,” he said. Crews say people should always have an EPIRB with them if they are going out into the water; it’s a device that tells crews your location, if you hit the distress button for an emergency.